Providence’s neighborhoods help us trace how the city was built, and why. Through them, we reveal the people and cultures that contributed to the city’s evolution. Each neighborhood tells a unique story of Providence and its people. Over time, as the city matured and populations shifted, local landmarks also took on new roles, uses, and meanings and residential, commercial, civic, and recreational spaces evolved. Beyond Buildings: Preserving the Livable Neighborhood, will examine neighborhood identity, community assets, and the importance of “human capital” to the city’s success. 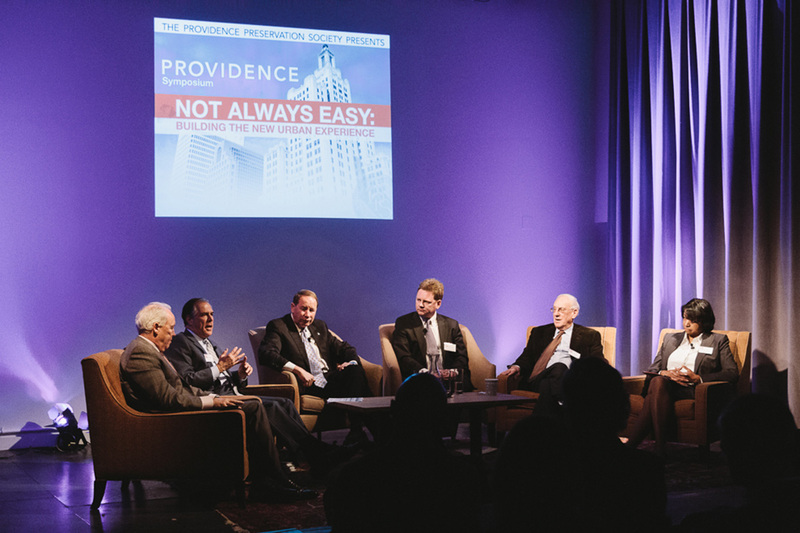 Building on our 2014 focus on downtown Providence and what makes a great city, we are now moving into our residential districts to discuss programs and policy blueprints for upward mobility, sustainability, and community development, honoring the individual character of Providence’s neighborhoods. Ned Kaufman, author of Place, Race, and Story: Essays on the Past and Future of Historic Preservation.